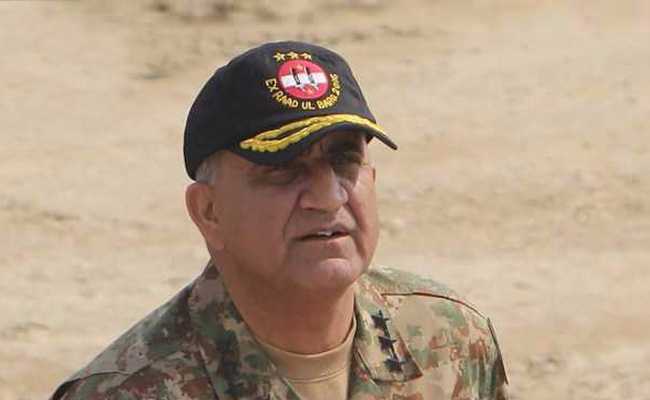 Karachi: Pakistan has shown "genuine desire" to have peaceful relations with its "belligerent" neighbour India but it takes "two to tango", Pakistan's Army chief General Qamar Javed Bajwa said today. At an event in Karachi to discuss security issues, General Bajwa said Pakistan needs to remove vulnerabilities well before they turn into threats. "With a belligerent India on our east and an unstable Afghanistan on our west, the region remains captive due to historical baggage and negative competition," the Army chief said. "But on our part, we are making a deliberate and concerted effort to pacify the western border through a multitude of diplomatic, military and economic initiative..."
"We have also expressed and demonstrated our genuine desire to have normal and peaceful relations with India; however, it takes two to tango," General Bajwa said. Despite what the Pakistani Army chief says, heavy shelling along the Line of Control in Jammu and Kashmir by Pakistani forces happen frequently. On October 2, a 10-year-old boy and a teenage girl were killed and seven other people were injured in firing by Pakistani troops near Jammu and Kashmir's Poonch district. On September 21, after a two-day lull in cross-border firing and shelling, Pakistani troops targeted Indian border outposts and villages along the international border in Jammu and Samba districts, injuring three civilians. On Pakistan's economy, General Bajwa expressed concerns over the country's "sky high" debts, saying the abysmally low tax to Gross Domestic Product ratio must change if the country has to "break the begging bowl". According to figures released by Pakistan's Finance Ministry, the country's foreign debt and liabilities are at $58 billion.